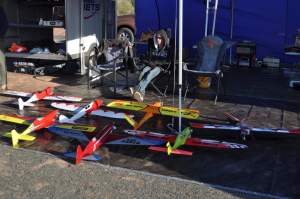 So VMPRA was off to the MAAA Nationals held in the New South Wales town of West Wyalong. We were to be providing the equipment and be running the event. Mick Dallmann from Queensland offered to be Contest Director for the weekend and did a fine job of it. 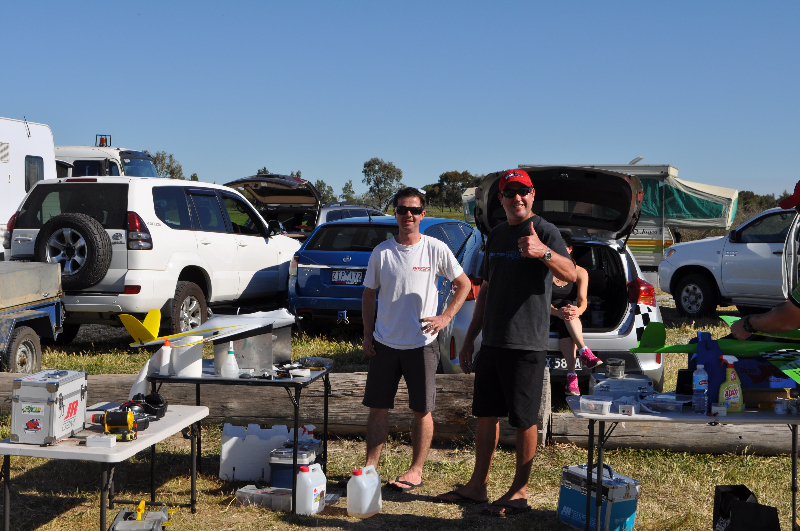 It was great to see a good group on competitors down from Queensland and some from South Australia also. We were allocated an area on the secondary runway at the local airport which had a gravel runway. 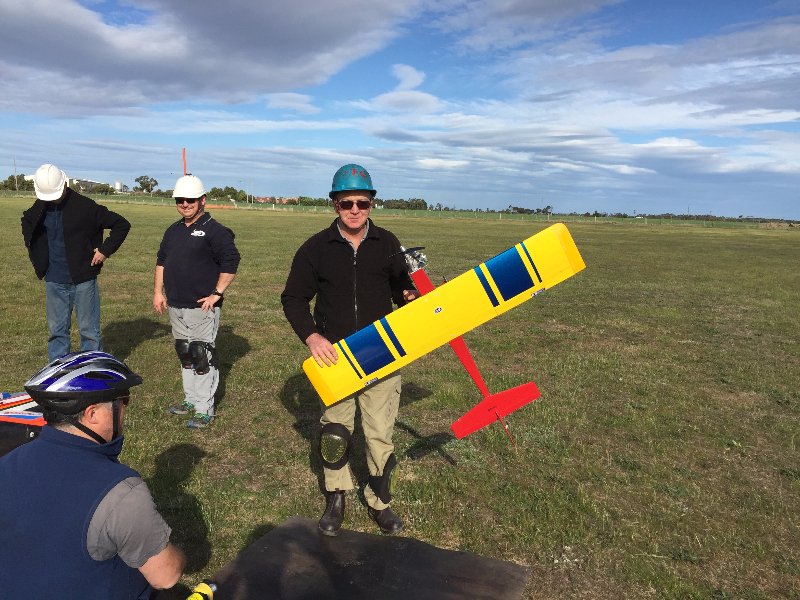 There was some test flying on Friday but due to the difficult take-off and landing conditions much time was spent on laying out sheets and matting to keep the dust down on the take-off position and on the runway for the planes that land wheels up. 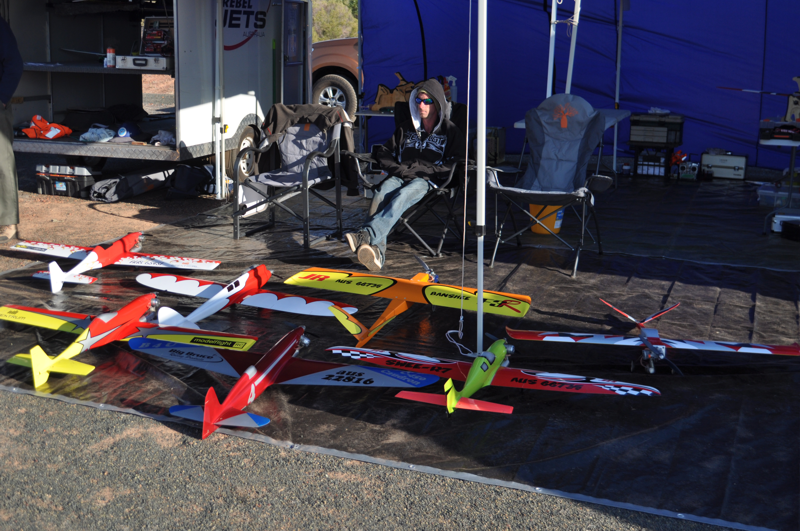 At the nationals, the classes of Q500, F400, F3T, F3D & F5D were raced. This meant that racing of F400 & F3T ran late into the afternoon with the sun very low in the sky. 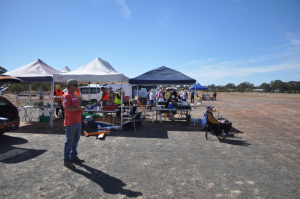 One of the highlights of the Nationals is being surrounded by lots of people that are interested in the various facets of aeromodeling and getting a chance to watch some of these other events. Hopefully the Nats can become a more regular part of the Australian aeromodeling scene and especially for pylon racers from all over Australia to come together. 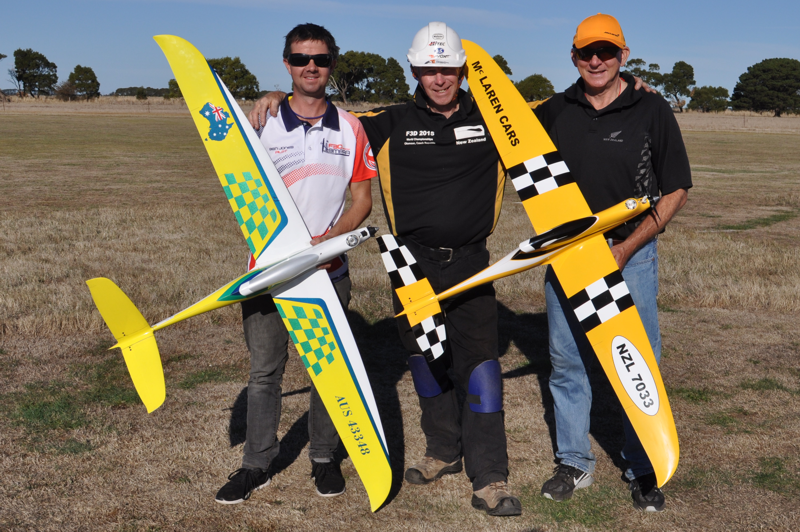 It was a rather smaller than usual group of us that turned up at Warrnambool for a weekend of pylon racing. The Saturday was a stunning sunny day with light winds. With the smaller number of participants and a great group of the local club members helping out, we got through 5 rounds of each class by the end of the day. Unfortunately, Sunday was not to be as kind to us. 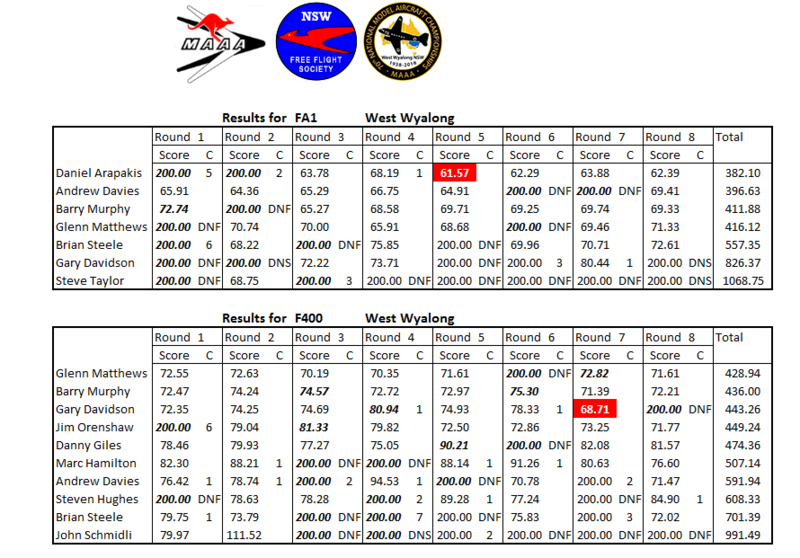 With only 3 rounds of each class left, Q500 started the day’s racing and during the first race, the wind picked up resulting in some damage to planes on landing. This and the fact that the NATs were only a couple of weeks later, meant that the plug was pulled on racing for Sunday. We now only have AMPRA left for this current season championship. 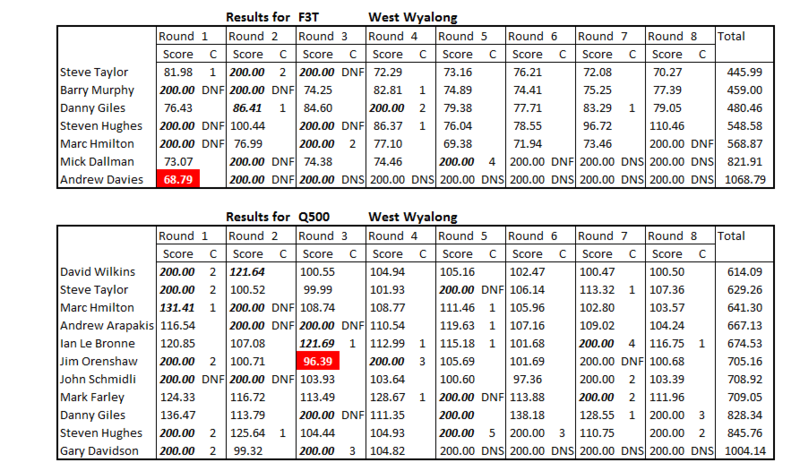 Brian Steele is in 1st place and Leigh Hocken continues his surge to the top being on equal points but in 2nd place due to events attended being less. Glenn Matthews has now dropped to 3rd place. Again, no change for the Q500 championship standings.